I’ve been trying to increase my activity level and going out for lunchtime walks (this is absolutely required to keep the waistline in check in order to continue to be able to stuff my face)…I’ve been doing this on and off for a couple of years, and I’m lucky that I work so close to The Rocks and the Harbour. Belle over at Ooh, Look, reminded me of La Renaissance Patisserie Francaise so I made sure to pass by on my way back to the office. I really like this little place for one main reason: It makes you feel like you’re in France as on my visit the counter staff were only speaking in French! The Rose was much lighter in flavour and texture, with that gorgeous rose water scent…unfortunately, the pretty pink colour did not translate as the flavour was so insipid. A real comedown in comparison to the passionfruit. The other desserts looked lovely, and I imagine, like most of the other cafes and restaurants in the area, that it has a very pleasant courtyard to relax in on a warm summer’s day…damn shame I had to come back to work! I get my coffee there in the mornings, but its not as good as Bourke St Bakery coffee. The crossiants on the other hand are better than Bourke St in my opinion. Every day I ogle the macarons but I haven’t tried one yet! Those are the first photos I’ve seen of the Renaissance macarons. The shells look a bit thick and crunchy… ? 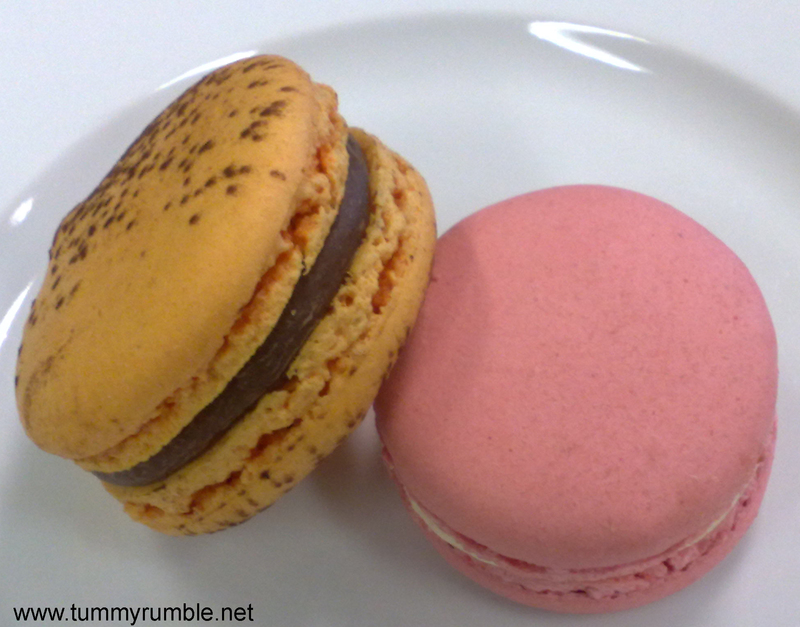 Hiya Duncan, as mentioned, not a macaron expert by any stretch of the imagination, but these were not “crunchy” as such. The outer shell was very thin and delicate and crisp, and shattered as soon as you bit into it to give way to the softness of the biscuit. The ganache in the passionfruit was way too hard.. Interesting, I might have to go for a longer lunch and check this place out. I rarely go beyond Wynyard for lunch / treats. Howard, if you’re that close to Wynyard we’ll have to have foodie adventures! I’m at Wynyard too! I’ve heard the macarons here aren’t as good although I haven’t tasted them myself (I really should, for research purposes 😉 ). But if you have the chance do try the teardrop cakes, they’re really lovely! 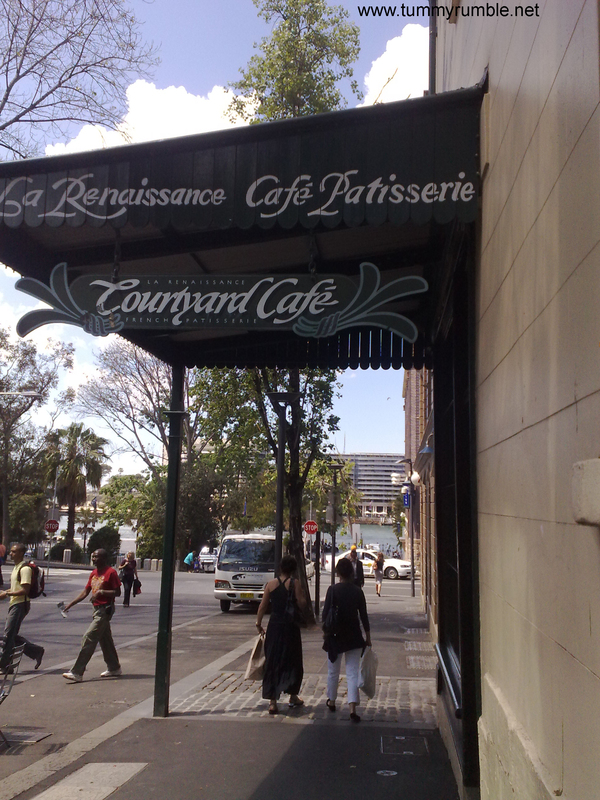 I’d totally forgotten about La Renaissance – gosh that place has been there for years. It’s where I tasted my first almond croissant – beautiful, beautiful but instant heart-attack material. I think their macarons are the closest to the style of Paris’ Pierre Herme (king of macaron) that you find in Sydney (and yes that includes Zumbo). I have noticed that they are not stingy on the filling, which is where all the flavour comes from. 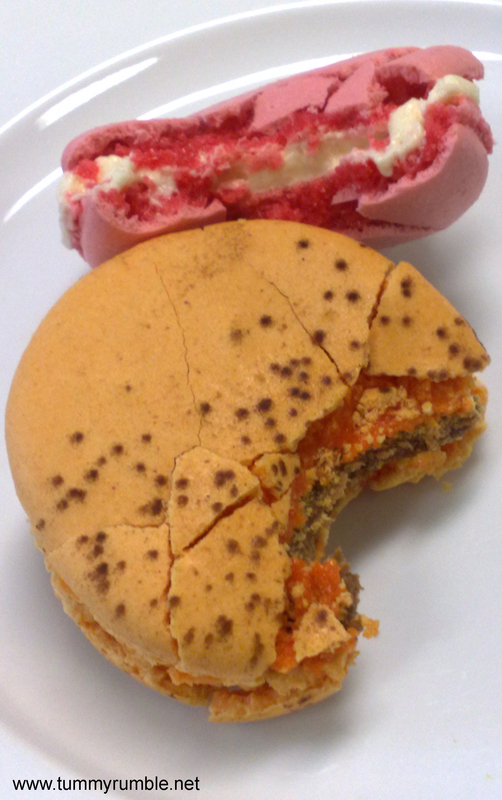 It is also a common misconception that the flavour of the macaron actually comes from the coloured almond meringue biscuit. The biscuits are coloured using food colouring, usually in the colour of the intended flavour.